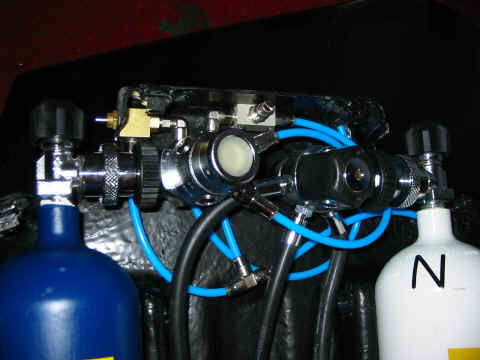 Holger Berghaeuser changed his Submatix rebreather to a KISS Style operated closed circuit rebreather. Please check his detailed pages for additional information. This year the Submatix 2003 was introduced. Uwe Lessmann presents a homebuilt rebreather for his recreational dives. 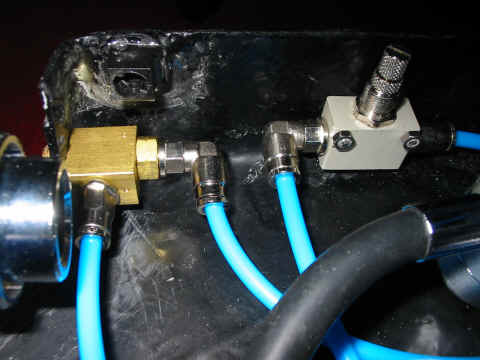 Apart from the breathing hoses there are no longer Dräger parts used. All parts of this rebreather are designed by Uwe. The Submatix rebreather is a very compact and lightweight rig. Fully prepared for diving the unit weights just 15 kg. The 1 kg scrubber filled with Spherasorb® offers 2 hours diving. The unit has no CE marking jet, but for now it is possible to buy the unit for exhibition purposes.